VALE Reg Rollinson, Reg passed away early this year 2014 and unexpected, shortly after Reg and Joyce returned from their cruise, Reg funeral was a wonderful event both san an joyful. During Reg time in the Cairns it was evident that he was very highly regarded at all levels of the community, we will miss his great sense of humour and cheerful outlook on life lest we forget. 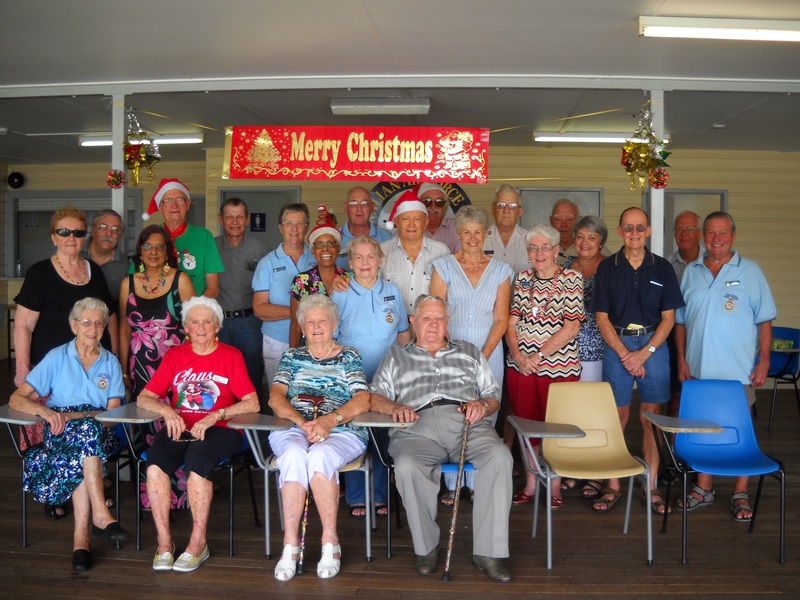 This photo was taken at our Christmas party 2013 Reg and Joyce Rollinson are siting in front Reg on the far right and Joyce on Reg right.